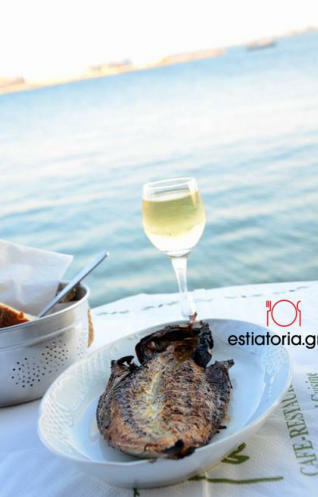 We prepare our dishes using the wealth of Aegean Sea and the land of Cyclades and choose only the best fresh ingredients, which we buy daily. Everything we use must meet the high standards of our kitchen. Also we make an effort to use organic ingredients whenever possible.We cook consciously! Our aim is to keep as many minerals and vitamins as possible. The minimal decoration travels you to the colours of the Aegean sea. We provide you a full service on our sunbeds from Cocktails, Cafe,Wines, Champagnes and food. 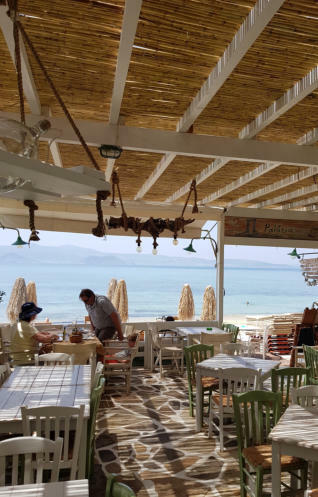 WELCOME Our main goal is to maintain Naxian - Cycladic cuisine using strictly pure and Naxos High quality materials, in combination with the attended space, the splendid aesthetics, the exceptional service friendly, cheerful approach and gastronomic enjoyment of persons that searches the good food.